Pick Ripe Peaches to Get More Clients! Summer! It’s time for my favorite fruit – fresh peaches! Growing up on my grandparents’ farm in South Carolina, I spent many lazy summer days reading Anne of Green Gables books in a peach tree, nibbling and dribbling peach juice down my chin! Do you like ripe peaches too? You’re really gonna love them for a juicy business boost in your wellness practice! “Low-Hanging Fruit” and “Warm Prospects” are conventional marketing terms for interested people who may be a perfect fit for your health business, but they haven’t yet become clients. My inner Southern girl likes to think of them as “Ripe Peaches” – potential clients who need follow-up. Low-hanging fruit is ripe and ready for picking! Compare these “Warm Prospects” to ripe peaches hanging on the tree. They are so heavy with sweet, juicy ripeness that they weigh down the branches, and practically fall into your hand with a slight touch – when the timing is right! In your wellness practice, the Ripe Peaches are people you’ve met and discussed your services with in the past 1-24 months. They were interested but perhaps the timing wasn’t right for them, or maybe they couldn’t afford it at that time. You may have met them casually at a social event, or in a more structured business setting, such as a networking meeting. And don’t forget that former clients are the ripest peaches of all! They already know you and your work, you have already established the vital know-like-trust connection. All they need is a slight nudge to drop into your waiting hand! Don’t wait for potential clients to call you! It is part of your job description as a business owner to follow up with leads. Simply give them a call, re-introduce yourself and remind them where you met. Don’t try to sell your services to them. Just let them know you’re thinking about them, ask them how they’re doing and offer them a complimentary gift, such as a no-cost Discovery Session, free info on your website or an invitation to your upcoming talk. Timing is crucial. If picked too soon, your peaches are inedible – green, hard and sour. Wait too long and either they’ll rot or someone else will pick them! Likewise in your health business: if you push to sell your services too soon, you will lose prospects before they “ripen” – that is, before they get to know, like and trust you. If you wait too long, they may lose interest or go to another practitioner for the help they need. Research shows that it takes 3-7 contacts for people to respond to business follow-up. So continue contacting your Ripe Peaches on a regular basis until they opt out or make an appointment. 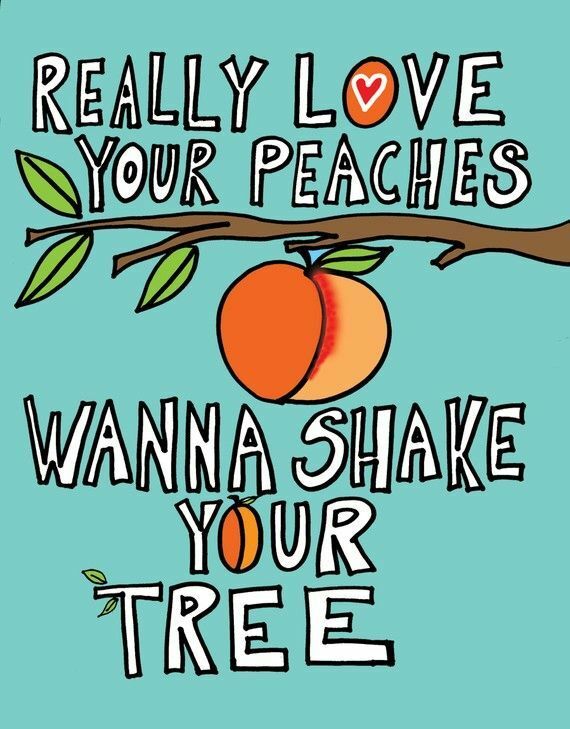 Who are your Ripe Peaches? Who can you think of that you’ve met and discussed your services with in the past 1-24 months? Have you collected contact info from everyone you meet in doing business, as well as casually or socially in your daily life? If not, start doing so immediately! Always ask: “May I have your card?” Odds are they will ask for yours in return. With your “Ripe Peaches” (potential new clients), make an offer they can’t refuse, such as special pricing or a free Discovery Session. Ask if they would be interested in hearing about your special offer. Prepare in advance – don’t try to wing it when the person answers the phone! Decide what you want to offer and memorize a friendly conversational script. Don’t be shy! Continue contacting your Ripe Peaches on a regular basis. Always give something of value in each connection, such as free info, a product or service, followed by a great offer! Don’t take rejection personally! Now… go pick those “ripe peaches!” Follow up with people who have shown interest in your work! Then make them an offer they can’t refuse – to start working together to help them with your unique solutions! The Prosperous Practice Home Study System shares how to consistently build your wellness practice with new clients, in a natural, authentic way, without seeming pushy or desperate! This entry was posted in low-hanging fruit, Marketing, Reactivate Former Clients, Seasonal Marketing, Summer Marketing, Warm Prospects and tagged attract clients, marketing for holistic practitioners, peaches, success for holistic practitioners by The Prosperous Practice.Bookmark the permalink.